Volume III of Sidney Blumenthal’s “magisterial” and “masterful” biography, The Political Life of Abraham Lincoln, brings the prairie lawyer out of his wilderness into the presidency. Lincoln rises from defeat and obscurity to become the Commander-in-Chief who strikes down slavery with the Emancipation Proclamation. Following the award winning A Self-Made Man and Wrestling with His Angel, Volume III, All the Powers of Earth, is a stunning achievement. Beginning alone, without any resources but ability, vision and self-discipline, Lincoln creates his own power every step of his way. His old party has collapsed and the opposition cracks up. 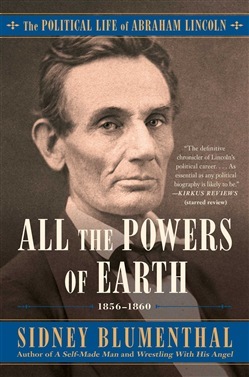 Lincoln enlists his friends in a new political party built at the center of the chaos to take on “all the powers of earth” in the country’s greatest crisis. The master politician wins the trust of ambitious personalities and warring factions and welds them together in a common cause, declaring “a house divided against itself cannot stand.” President Lincoln now faces the forces that tore apart the Union. Lincoln stands firm in the secession crisis, refuses fatal compromises, and puts together a cabinet of strong political men who often act as if they and not he is president. He must create an army, cope with terrible early defeats, and find worthy commanders. He must deal with the contempt of his top general George B. McClellan, the suspicion of the Radical Republicans in the Congress, and the threat that the slave border states will defect to the Confederacy. He comes at last to his most daring act and forges his most powerful weapon, the Emancipation Proclamation. 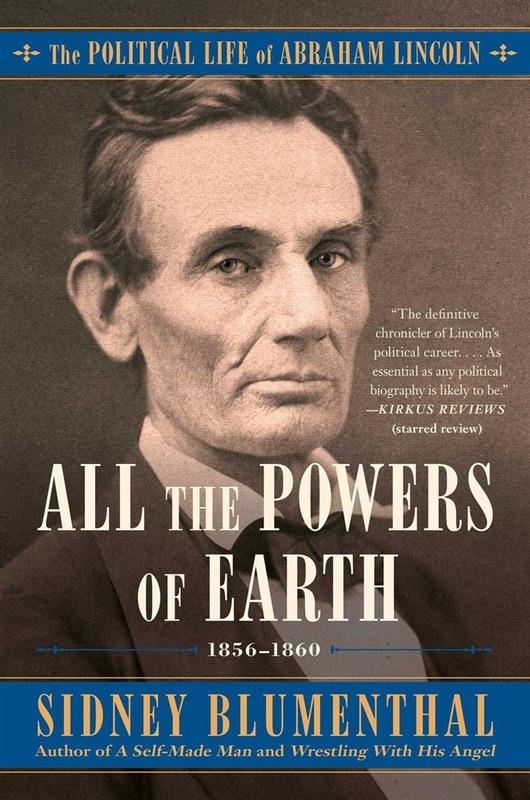 Acquista All the Powers of Earth in Epub: dopo aver letto l’ebook All the Powers of Earth di Sidney Blumenthal ti invitiamo a lasciarci una Recensione qui sotto: sarà utile agli utenti che non abbiano ancora letto questo libro e che vogliano avere delle opinioni altrui. L’opinione su di un libro è molto soggettiva e per questo leggere eventuali recensioni negative non ci dovrà frenare dall’acquisto, anzi dovrà spingerci ad acquistare il libro in fretta per poter dire la nostra ed eventualmente smentire quanto commentato da altri, contribuendo ad arricchire più possibile i commenti e dare sempre più spunti di confronto al pubblico online.